Ducks are wide-ranging, found on every continent except Antarctica. They live in both fresh and sea water and are well adapted to their aquatic home. In fact, their feathers are so waterproof that the underlayer of downy feathers remain dry even when they dive! Ducks, along with geese and swans, are members of the Anatidae family. There are around 162 species found worldwide except Antarctica. While ducks are known for their quack, the reality is, many don’t. They do make noise though and can be heard making a variety of grunts, whistles and even yodels. Ducks are omnivores so feed on a variety of plants and animals. Diet depends on a range of factors including species and habitat. For example, dabbling Ducks (the tipping Ducks) tend to feed on plants and insects, while diving Ducks, which are better suited for deeper water, favour fish and crustaceans. In the UK, feeding ducks bread is a popular activity, but not one that you should take up. Bread is actually bad for ducks – read about why in our blog post. Are Ducks good at flying? While we see them mostly in the water, Ducks are excellent flyers. Every year, during the autumn months, they migrate to warmer countries. Different Duck species fly different routes and distances, some over thousands of miles. 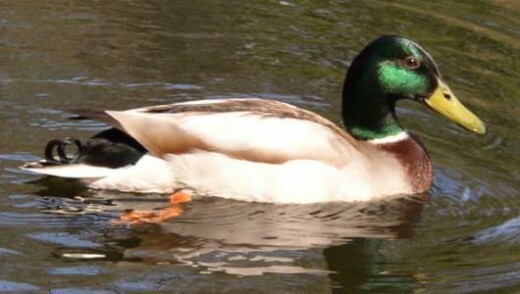 For example, some of the mallards in the UK during winter months may be migrants from Europe. 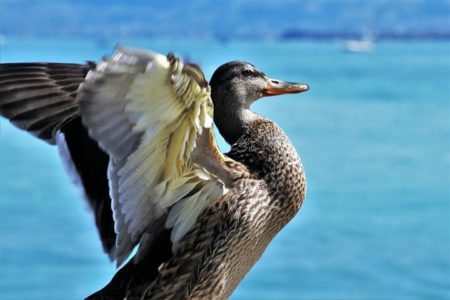 Ducks can reach up to 96.6 km/h (60 miles/h) when flying. How are Ducks so adapted to water? 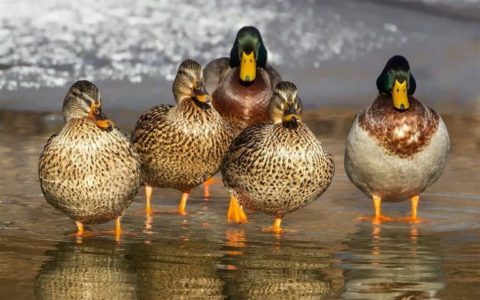 Ducks spend much of their lives in the water, and they are well adapted. Their webbed feet help them to swim and to keep their balance on muddy riverbanks, while their bills have small bristles that filter food from the water. The outer layer of feathers is extremely waterproof and keeps the underlayer dry when they dive. 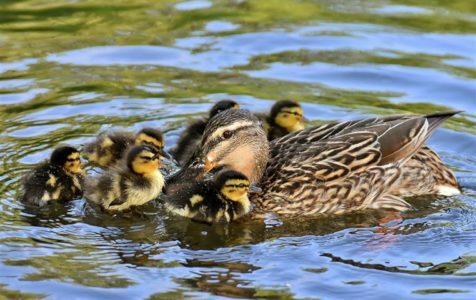 Female Ducks are very caring parents, even before they lay their eggs. They use feathers from their breast, along with grass and leaves, to insulate their nests and keep the eggs warm and safe. Nests are built in a concealed location, and ducks usually have between 10–15 eggs, depending on species. Male ducks usually have little to do with their offspring, often leaving the female during incubation or once the eggs have hatched, though it depends on species. Females remain with their young for longer, usually until they take flight, though again it varies substantially with species. For example, some sea ducks may only stay with their young for a couple of weeks. What are the greatest threats to Ducks? Ducks may be doing well compared to other species of animals, but that doesn’t mean there aren’t any threats and high populations could crash very easily. Climate change is a big worry. Ducks require water sources such as ponds and rivers, so droughts can have a substantial effect on them. However, the opposite is also true in that floods can destroy their nests. Floods are sometimes aided unintentionally by flood controls used to protect farmland. So, climate change along with agriculture has resulted in much habitat loss for Ducks.